Native contrast ratio is bonkers. Alexa voice assistant is smoother than other smart TV options on the market. Rather quick response time for fast moving content. 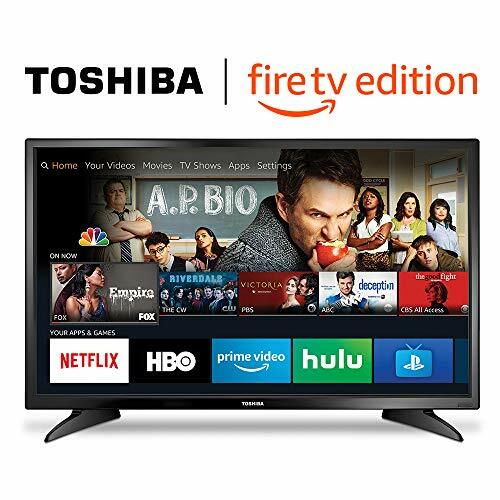 Not only is the Toshiba Amazon Fire TV a decent smart option, but it comes at an affordable cost even compared to many other cheap TVs for sale. This particular Fire TV has a very high native contrast ratio, a good response time and smooth smart features which give its users a good array of uses at any given time. There are also a good number of input connections so you can connect more than one device at a time which is a neat plus. Though, the two most notable features of the Amazon Fire TV are its slick integration of the Alexa assistant and is dark room viewing experience. Even after recently tweaking my top 5 lists, the Toshiba Fire TV has found a home there for its good performance and insanely low cost. The Fire TV has a good suite of smart features and a decent picture to boot so I found it to be good for a mixed range of uses. 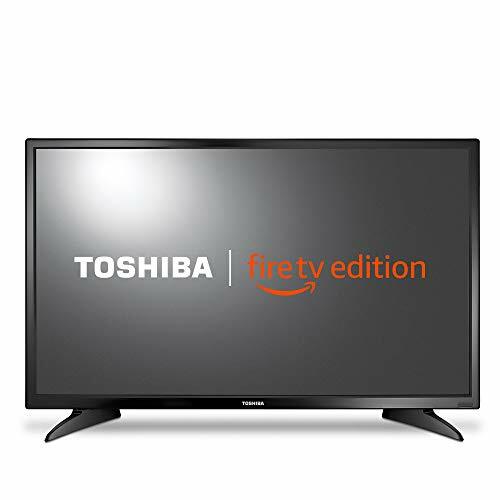 Toshiba has made available 5 sizes for their Fire TV. 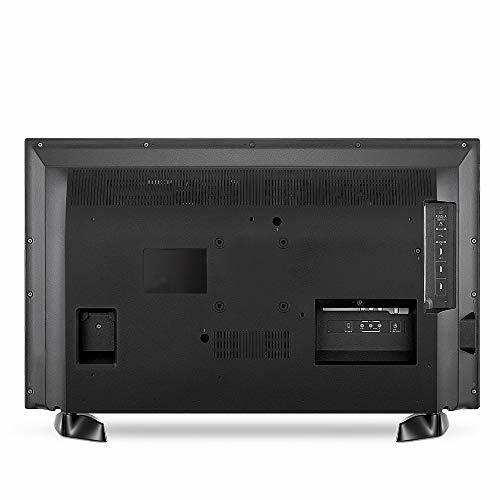 The 32 inch (32LF221U19), 43 inch (43LF421U19), 49 inch (49LF421U19), 50 inch (50LF621U19), and 55 inch (55LF621U19) versions. The Toshiba Fire TV has a insanely good native contrast ratio when you consider its lower price point. This leads to a better dark room viewing and the decent color gamut helps to saturate the otherwise dark colors. Toshiba didn’t include local dimming features or a more robust series of input upscaling features, but the overall look is good. This result completely surprised me. This Amazon Fire TV was just not on my radar and it started with a bang. for those that do not know, the contrast ratio allows for a better dark room viewing since it can produce a dark black color when requested. Even the Toshiba Fire TV has a great contrast ratio, there are no local dimming features. This is expected since its picture is Edge-Lit. Just a poor viewing angle. The main way to combat this, is to have a larger sized smart TV. This creates a wider axis for the viewing angle which is a bit of an illusion, but if it works, it works. 480p: Too sharp at times. 720p: Small artifacts that I had trouble catching. 1080p:. Ideal on the sizes that support 1080p. 4K: No issues on the proper sizes. The picture can look a little blocky on the small resolutions, but the Fire TV keeps up well enough so you can watch older content without much of a worry. The colors are saturated, but can appear a bit dark at times despite the good color gamut on the Toshiba Amazon Fire TV. One thing to note is that the smaller sizes are only 720p or 1080p smart TVs, so the lack of resolutions can give off a poor color even though it can replicate them fairly well. 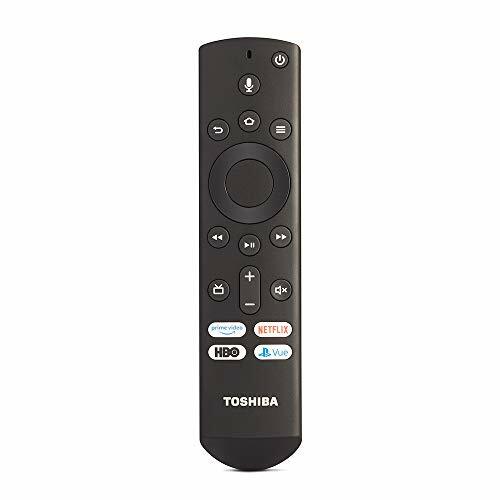 With my Toshiba Fire TV 2018 TV review I found the best performing feature to be its feature. It allowed fast content to look fairly good without much overshoot or eye-tracking. The Fire TV also have lower level motion interpolaton, but sadly no 24p playback support. So if you are sensitive to judder, you may want to consider another smart TV. There is little to no overshoot and the content look crisp throughout most types of content, excluding the most insanely fast moving content. Even despite the edge-lit design of the backlight the changes are nicely done across the Fire TV screen. The lacking 60 Hz refresh rate prevents the removing of judder. This is even true for the Amazon Fire TV apps such as Netflix, Hulu, or YouTube. The Toshiba Amazon Fire TV only has options for the lowest level of interpolation, but this is due to its refresh rate. The smoothing is good, but a little relaxed for my taste. Even still I do not recommend these settings be enabled. The Toshiba Fire TV fits a small niche, so I wouldn’t expect it to do any backflips with its inputs, but even knowing that, they perform well. There is a food variety to satisfy most people, and the support resolutions cover the basics. Decent variety and there are more than 2 HDMI ports on the Fire TV. Any resolution that is 1080p or 4K is only supported by the Fire TVs that are listed in Lowest Prices with the corresponding resolution. The VESA patterns are a little bit oddly sized, but you should still be successful if looking for a wall mount for the Amazon Fire TV. The more casual games are up the alley of the Toshiba Fire TV, but some more competitive games will work without trouble. Though, I must admit I did find myself playing games more on this smart TV more than others during the review. I do not know why. Decent support, but nothing out of the ordinary on the Toshiba Fire TV. Amazon gets a little pushy with their own platforms on the Toshiba Fire TV, but makes up for it with the performance of its smart features. The interface is very smooth and well placed so you don’t have to guess where settings or applications will be. Additionally, the integrated Fire Stick works with a suite of Alexa assistant voice commands that give you a unique control over the smart TV. WiFi, bluetooth, downloadable apps, casting, music, and USB playback are just a tiny glimpse of what the Fire TV operating system can do. In reality, you’re getting the speed and powe of a more premium smart TV without the insane cost. As mentioned above, the Fire TV comes with a little bit of advertisements and even Amazon pushing their streaming platforms while needing an Amazon account to make some progress. I didn’t find it too concering as most other smart TV brands have done similar things and they’re not going to change any time soon. That’s it with my Toshiba Amazon Fire TV 2018 TV review! I try my best to keep prices accurate. Below are the lowest prices I could find and the date it was last updated. Also they are organized by size. Check out the proper viewing distance if you’re unsure where to start. Alexa is woven into the more robust features of the Toshiba Amazon Fire TV, but they do work well. The Fire TV has a great contrast ratio which allows for good dark room viewing, but doesn't have local dimming features or a very good viewing angle which means the picture is a little stuck where it is unfortunately. Though, the response time of the Amazon Fire TV is fast and there are some more basic interpolation options available if you preferred a smooth picture. All-in-all the Toshiba Fire TV is a smart option, but leans towards the more basic side. The picture quality worsens at an angle. Small sizes of this Fire TV only support 720p or 1080p resolutions. 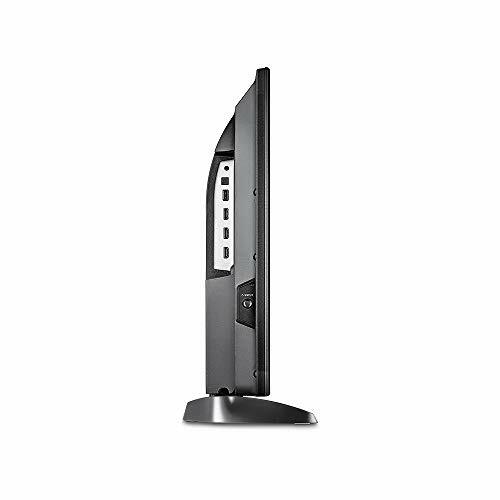 Judder is not easily removed from the picture and many options of the smart TV require an Amazon Prime account.